Join Mother Angelica and the Poor Clares as they recite the Joyful, Sorrowful, Glorious and Luminous Mysteries of the Rosary. Taped at the Shrine of the Most Bless Sacrament, these Cloistered Nuns lift their hearts and voices to our Lord for the intentions of the world. 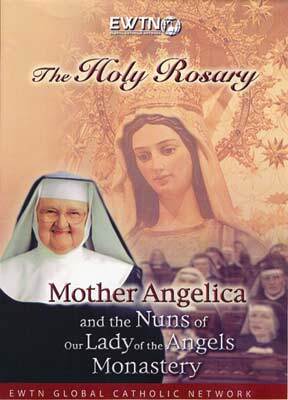 Mother Agelica leads each of the decades - an added touch of love to this already exquisitely beautiful devotional.